To clarify, you can have one of both the consumer version of this card and this business version under your name. The bonuses are also separate. You can get one consumer bonus every 24 months, and you can also get one business bonus every 24 months. American Airlines MileSAAver awards are still 25,000 miles for a round-trip ticket within the contiguous 48 states. If the trip is less than 500 miles, then it is only 15,000 miles roundtrip within the contiguous 48 states. Under-500 miles routes include Las Vegas to/from Los Angeles, Charleston to/from Miami, New York to/from Washington DC, Philadelphia to Boston, and many others. There are some small differences between this and the consumer version of this card. This business card offers 2 AAdvantage® miles for every $1 spent on purchases at telecommunications, car rental merchants and at gas stations. The consumer version does not. I also do not see any mention of the ability to earn 10% of your redeemed AAdvantage® miles back on this business card. However, this business card does make you eligible for Reduced Mileage Awards, where you save up to 7,500 miles on roundtrip MileSAAver® awards to select destinations on American Airlines operated flights. Business card eligibility. Many people aren’t aware that they can apply for business credit cards, even if they are not a corporation or LLC. Any individual can be a small business. Perhaps you sell items on eBay, Craiglist, or Etsy. Maybe you do some graphic design, web design, freelancing and/or consulting. If you received a 1099-MISC tax form and filled out a Schedule C, that means you have business income, you pay self-employment taxes, and you’re a sole proprietorship. 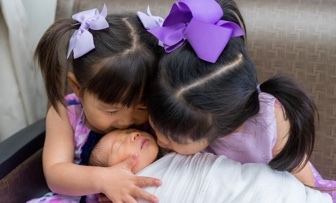 This is the simplest business entity, but it is fully legit and recognized by the IRS. On a business credit card application, you should use your own legal name as the business name, and your Social Security Number as the Tax ID. Bottom line. 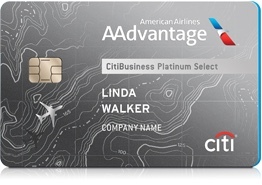 The CitiBusiness® / AAdvantage® Platinum Select® World Mastercard> is running a 75,000 mile limited-time offer. As with most of these co-branded cards, a lot of the potential value comes when you fly on American and use the early boarding and free first checked bag benefit (now $60 per person, roundtrip). Please note this a business card, designed specifically for businesses. Click here for the consumer version. How can I keep my miles from expiring? Just earn or redeem miles on American or with an AAdvantage partner at least once every 18 months. We’ll automatically extend your mileage expiration date 18 months from the date of your most recent activity. Easy ways to created American Airlines activity with any credit include their eShopping cashback portal, Rewards Network Dining, and the ThanksAgain app I just wrote about. I have found it difficult but not impossible to find availability using AA miles. One tip is that when using AA miles to book direct Alaska flights through the AA portal (flights with no connection where Alaska/Horizon fly, but American Airlines does not) I have found good availability.